They say that Social Media only shows the perfect aspects of someones life. The polished, madeup and carefully curated pictures you plan to share with your following. A life full of parties, healthy eating and perfect winged liner. True, I´d say. But not entirely true. 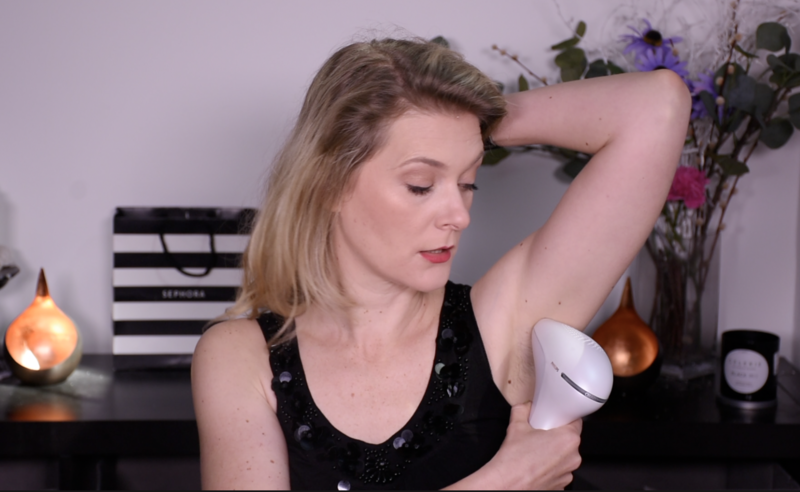 See, for the review of the Philips Lumea Prestige IPL at home laser hair removal treatment (and breathe) I decided to grow out my arm pit hair. For two weeks. And to take a picture and put it online. This is a sight not even my husband had seen before, and we have been through two pregnancies (shaving is acrobatics) and two newborn phases (staying awake to shave being the challenge here). But there it is. On the internet. For everyone to see. 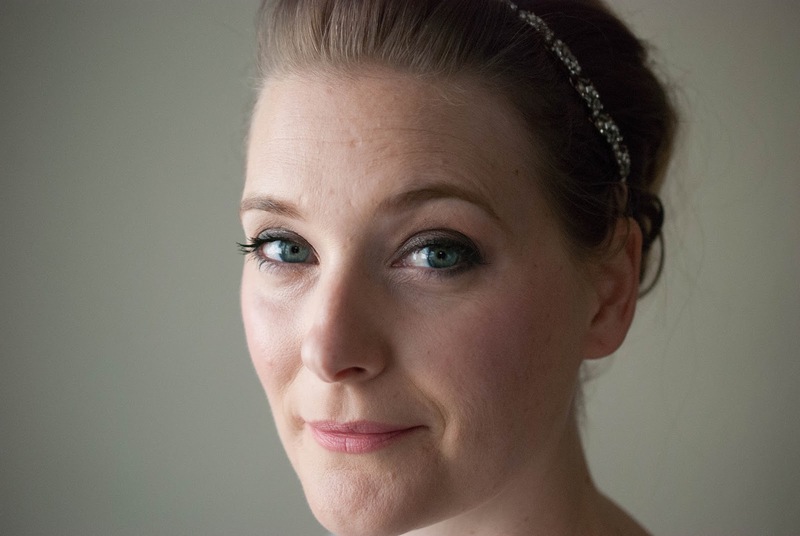 Along with my makeupfree face in tutorials or close-ups of my acne scars for review purpose. Honestly, you guys have seen things usually reserved to very close family members. If you are still with me after an introduction going against any SEO and blogging tips, thank you. The review of the Philips Lumea Prestige IPL at home laser hair removal treatment shall be your reward. I talk about everything in detail in the video above, but if you just can´t stand to see my hairy pits, I will summarize the key points in the following paragraphs. Each hair goes through a cycle of growth, resting and shedding. Pulsed light, applied directly to the root of the hair (follicle) sends hair into either shedding or resting mode, so no hair will grow back after shaving. The light is directed to the follicle of the hair by the melanin in the shaft of the hair. Which means: The darker your hair and the lighter your skin, the more efficient this treatment will be. People with very blonde hair, but also people with very deep skin tones will not get as good a result as others. The device can be used without having to be plugged in, which was a major selling point for me. You turn it on, choose your level of intensity (1-5), press it to your skin and push a button to release a flash of light. I used the highest setting (5) and did not experience any pain, only a slight twitch on very delicate body parts. There is the possibility of keeping the button pushed and sliding the device slowly over the skin, probably great for covering larger areas like arms or legs. After two uses I was excited as I was able to go longer between shaves due to the fact that my hair grew back much slower. Sadly that was the only effect I noticed, even with prolonged use. My hair grows back slower, but it still does grow back. The time in between shaves is now 5-7 days as opposed to two days before starting to use that device, which is nice, but not what I had hoped for. Of course everyones hair is different and you have to keep in mind that I only use it on my arm pits and bikini zone, so maybe you will get better results if you use it on your arms or legs, but I personally would not purchase it again. The Philips Lumea Prestige IPL retails for 599 € (I got mine on discount for 349€, so do compare prices) on the website here.